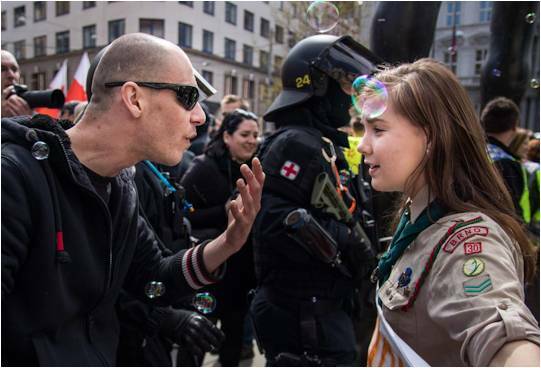 Lucie Myslikova, 16, a Girl Scout (yes, really) who stood up to a shaven-headed Far Right thug at a demonstration in Brno, Czech Republic. The image went world-wide in a heartbeat. Clear shades, here, of Saffiyah Khan, the young Birmingham girl who stood up to the EDL with a smile last month. Most of France who voted 2 to 1 for Macron against Marine Le Pen, bringing in an era of Centralism and putting the brakes (after Austria and Netherlands) on the recent rise of Far Right leaders. 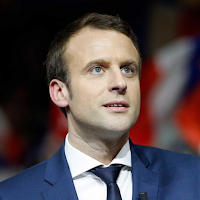 Importantly, the biggest demographic that voted for Macron was the youth of France. On the same issue, Emmanuel Macron, for winning without hate, by promising to fight divisions. We have great hopes. Whether he can. 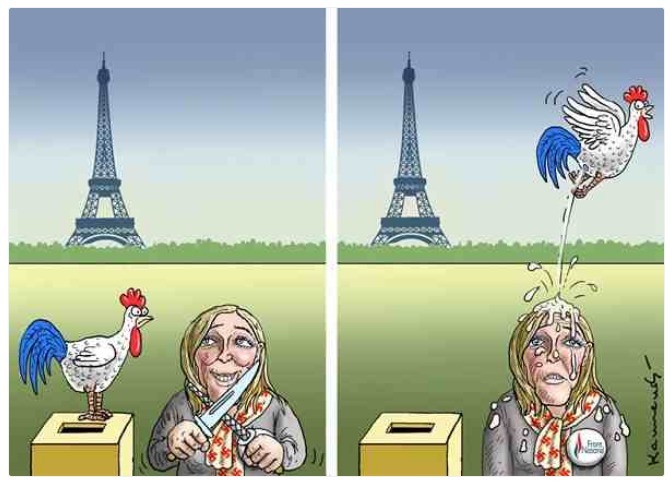 or will, deliver, is yet to be seen, but France has a chance now to step away from Marine Le Pen's abyss. 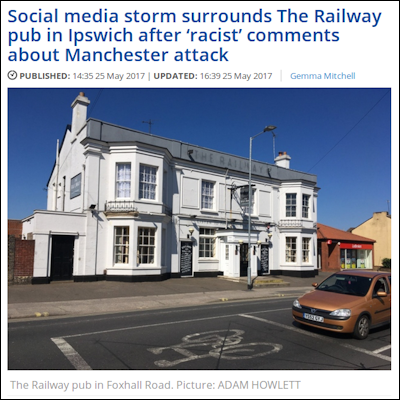 The regulars at the Railway Arms in Ipswich, who organised a boycott after the pub chose the Manchester Bomb as a licence to post Hate Speech on Facebook. Sackings and apologies followed very quickly after. 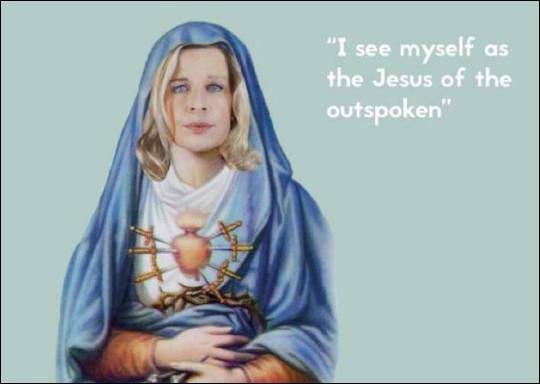 The 'Hatie' Hopkins witch, who, after getting fired by radio station LBC, portrayed herself as a martyr in the line of Jesus, or perhaps Mary Magdalene, by posting this. Whinge as she will (and she will) our sources tell us she's gone soon from the Daily Mail, too. 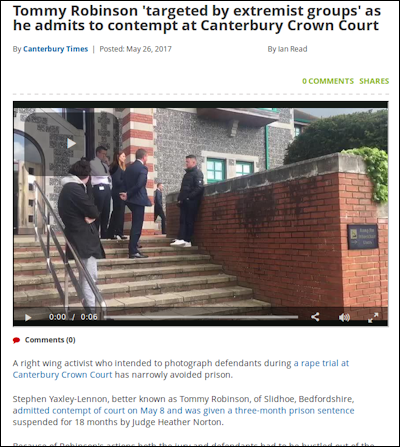 Allison Pearson, 'journalist' for the Daily Telegraph, who was one of many who called for 'Internment of Muslims' based on no crime, no evidence, and no trial. Many made the same call, of course, but her post was a key sign of the Telegraph's new direction. The Tories, who called an election with a 20 point lead, to see it evaporate. 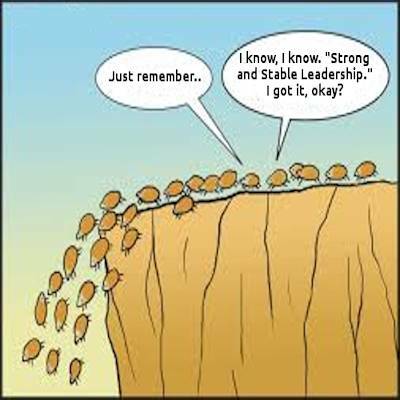 On the way, they've created a mantra and quote it at every opportunity: "Strong and Stable". You'll not hear a Tory politician go 60 seconds without quoting it. Caroline Santos of Ukip, aka @Casumptious on Twitter, who referred to Islam as "a Cancer." 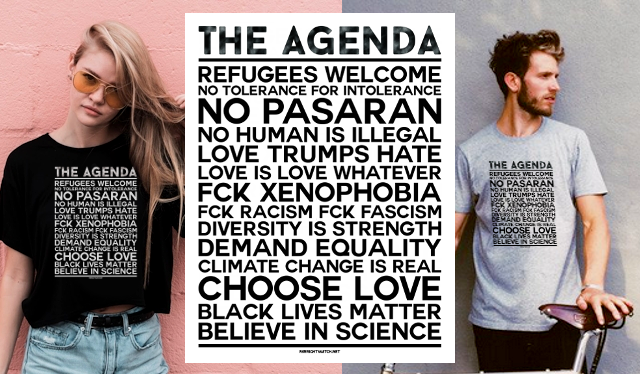 No mention of 'Islamism' or 'Extremists' .. just Islam, the entire faith of Islam, and all of it's 1.8 Billion followers. 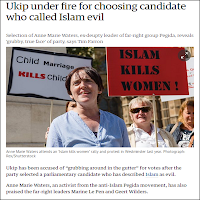 Ukip's unbridled hate, exposed. Again. 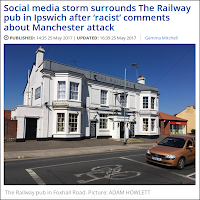 Ukip, again, (they have been busy!) 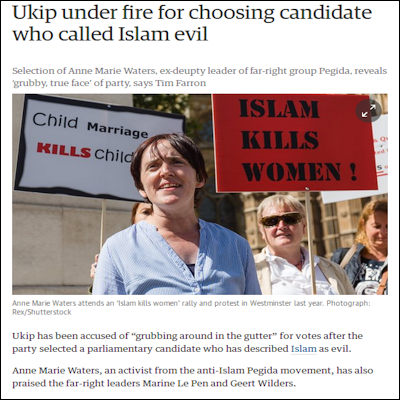 who despite years of denial that they are an Islamophobic Party, chose vile Hate Preacher Anne-Marie Waters as a Candidate for Lewisham. 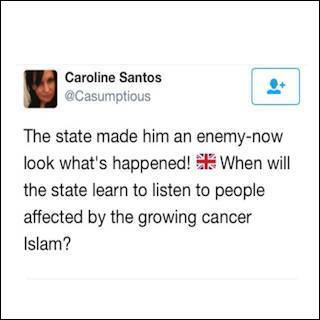 Probably the most homophobic woman in politic (and an EU migrant, ironically) she nevertheless passed their vetting. She was only dropped after a huge public outcry. Ivanka Trump, shoe designer, who's in a key diplomatic role because Daddy loves her. 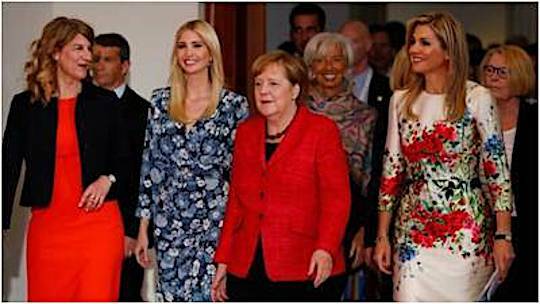 She was in Europe and was seen here surrounded by successful, educated, intelligent women who have achieved by their own efforts, who have contributed to the world a bit more than footwear blatantly copied from other designers. 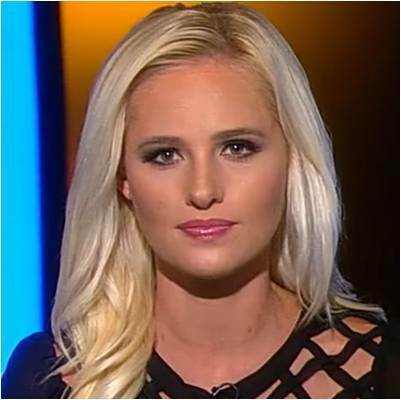 Trump 'Golden Girl' and Alt-Right 'mouthpiece' Tomi Lahren, who displayed the usual Trump followers lack of world issues by defending the "Travel Ban" as "not a Muslim Ban" otherwise "Muslim nations like India would be on it". India, is of course, a predominantly Hindu / Sikh nation. 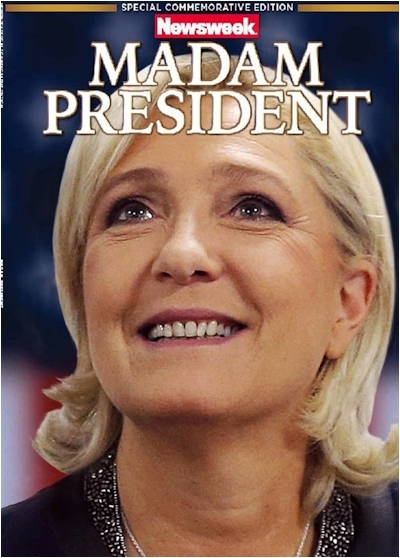 The French 'Front National' Party, who tweeted this mocked-up Time Magazine 'Madame Presidente' cover early on the day of the French Presidential Election, only to delete it a few hours later as results came in. Too late, everybody got it. 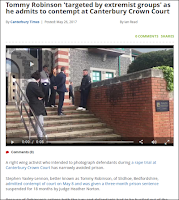 The EDL's (as was) and now PegidaUK's Tommy Robinson, who screamed his innocence before his "Contempt of Court" trial and hailed "Victory" as he walked out. He actually, of course, pleaded Guilty (because he was) and escaped a jail sentence (it would not have been his first) by a whisker. 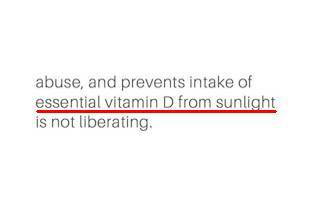 Ukip, with a Ukip classic, even for Ukip, putting in their official Manifesto that one of the reasons they want a Burka ban is that they're worried about too little Vitamin D being absorbed by Muslim women. Really. Not a joke.